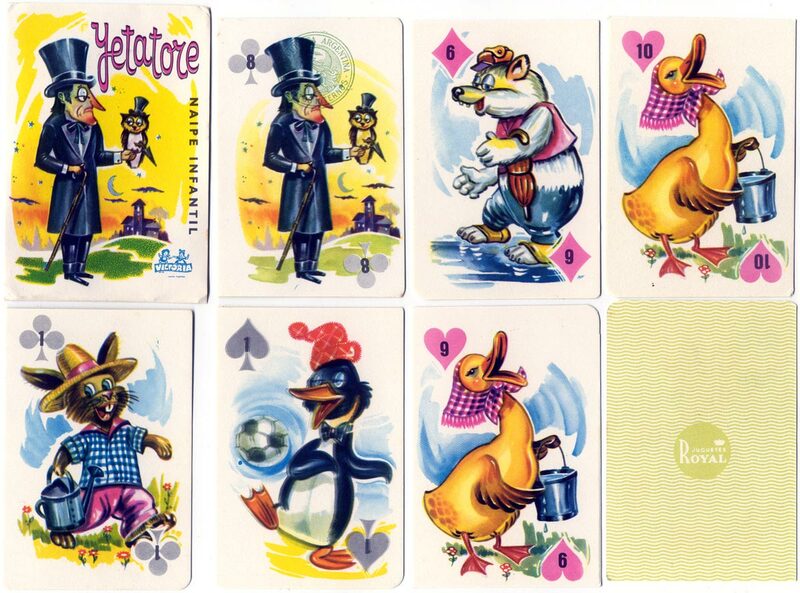 Juegos Victoria – Juguetes Royal – were publishers of children’s card games in Argentina during the 1960s and ’70s. Above: ‘Yetatore’, a 40-card game with numerals 1-10 in each suit, 1968. ‘Yetatore’ means the bringer of bad luck and players seek to avoid this card. 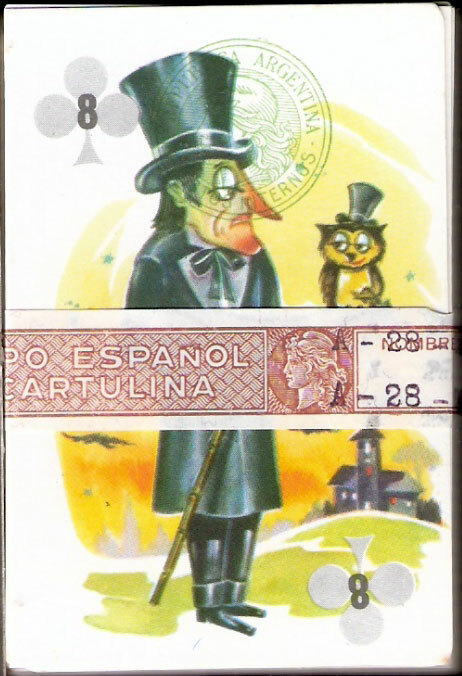 The 8 of clubs has the green ‘Marianne’ tax stamp and the brown 10 pesos tax band (below) corresponds to Ley 17,196 (1967-68). 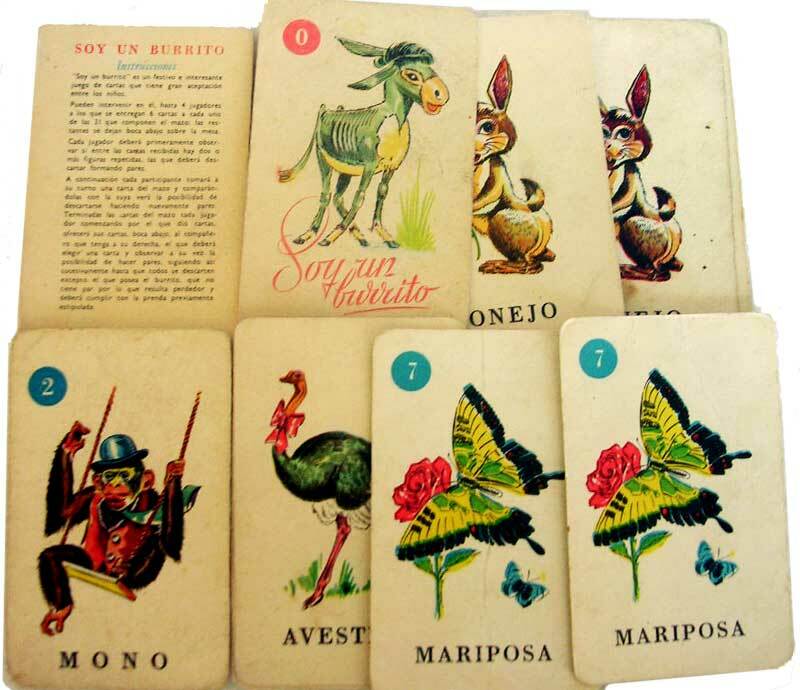 Above: “Soy un Burrito” children’s matching game, c.1970.